Selling Restaurants is proud to present an excellent opportunity to own your own restaurant with very little out of pocket. Located on one of Chico's busiest streets with easy access to Hwy 99. This restaurant facility is over 3000 Sq Ft that seats approx 75-80 people. Current market rent is approx $1-$1.50 a sq ft. The landlord is very motivated and willing to start rent at $1200 a month base rent. The rent will increase by two hundred dollars every three months for the first two years. At the end of two years you will be at current fair market value. There is plenty of off-street parking and all the equipment is included in the lease. There is a Class I Hood, walk-in, tables, chairs and all the equipment to open. All you need is your business license and Health Permit. 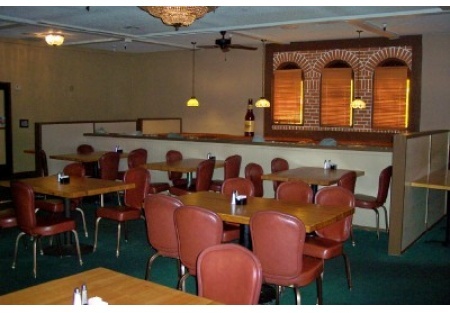 There is also an additional 2500 Sq Ft that you can serve food to without paying any rent. Call or email agent about the details. This truly is an amazing opportunity. Please select one of the orange buttons below to find out more information. This is a Plaza Realtors Listing.